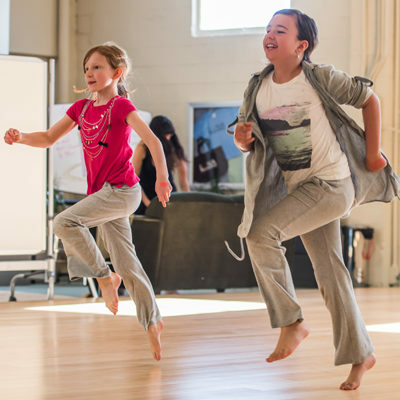 Luna’s Studio Lab, a cornerstone of LDI since 1992, was developed as an alternative to other after-school studio dance courses for kids. The explicit goal is to provide young dancers, ages 5 through 17, with a course of study to develop as choreographers — dance-makers with a keen sense of their own bodies moving in space. As children progress through the courses, they receive a complete dance education. Classes are designed to repeat for up to four semesters before advancing to the next level, and there are entry points for those new to dance at every age level. Children expand range of motion, body articulation, and spatial awareness as they learn to solve movement problems and create simple dance phrases. They increase their knowledge of how to use the elements of space (line, path, level, size, and focus) and energy to express ideas or feelings. Through consciously using the elements of energy, space and time, dancers learn body mechanics, gain strength and flexibility, and increase range of motion and coordination. 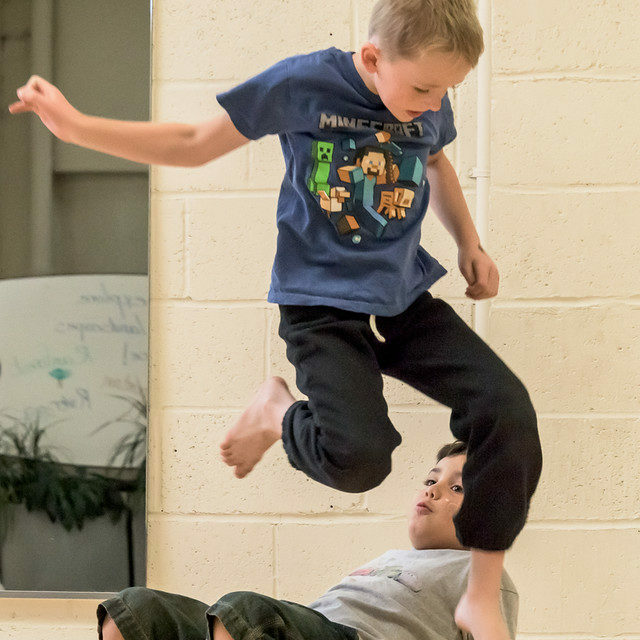 Dance fundamentals develop in the context of serving expressive ideas. Movement invention is encouraged as dancers create phrases, make choices within a score, and synthesize their life experiences into movement. After learning to take risks, play with movement ideas, and develop basic dance competencies through improvisation, dancers enter the composition series. Three levels of composition allow dancers to explore choreographic principles with increasing breadth and depth. Dance technique is developed to provide the necessary skills for students to execute their works safely and with an increasing awareness of the audience. Prerequisite: Improv + Dance Fundamentals and/or with permission of instructor. Curriculum involves committing to a creative idea: memorizing sequences, creating and editing phrases, developing performing skills and rhythmic phrasing. Now open to 11-16 year olds with no prerequisite. Students make longer dance phrases and learn the difference between various choreographic forms and structures. They deepen their use of choreographic devices and editing skills. At this level, their own “choreographic voice” is becoming apparent and they learn to situate and perform their work for the audience. Prerequisite: Improv + Composition and permission of instructor. Students deepen their knowledge of group forms to create full dances. Upon completing two years at Level 3, students will have the confidence to create and perform solos, duets and small group works, and will have begun a portfolio of such work. Dancers will be able to demonstrate full commitment to performance for a variety of audiences with a sophisticated understanding of body mechanics. They will be skilled at directing others and being directed, and they will be able to articulate their creative process through Q&A audience sessions. Prerequisite: Choreography + Performance L2, and permission of instructor. By the time students are at Choreography + Performance Level 3, they are often teenagers. 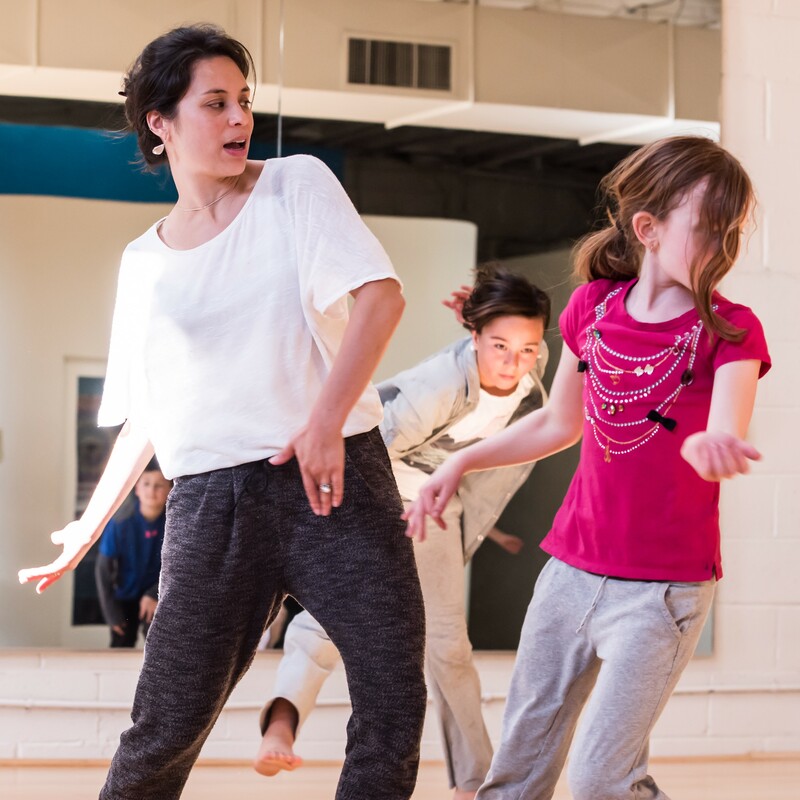 Browse our available Studio Lab dance courses for kids!